Daniel Craig in Quantum Of Solace: Veddy stylish. 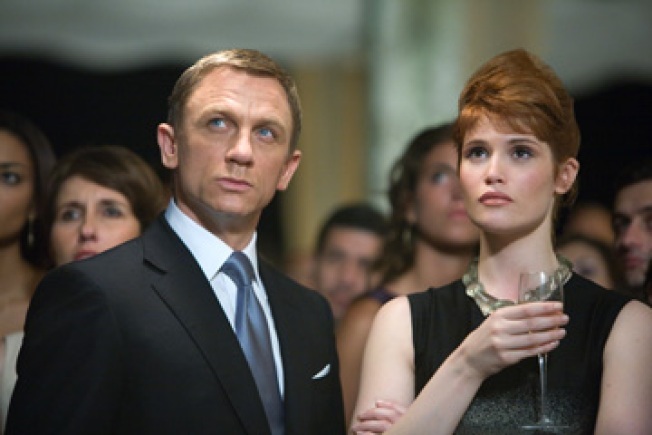 The Most (and Least) Stylish Movie Characters of 2008 - The name's Bond. James "It's Savile Row, and Don't You Forget It" Bond. Stephen King's 10 Favorite Movies of '08 -- In which the horrormeister has a man-crush on Samuel L. Jackson. 10 Breakout Stars of 2008 - Starting with that guy from Twilight who looks like Jason Priestley on Atkins. 8 Best Movie Cameos of 2008 - Oh, Neil Patrick Harris, must you be awesome in everything? Best Foreign Films of 2008 - Roger Ebert speaks the truth, y'all.